Montrose, CA (SOTN) — Alana Tessman of the Kern River Valley is no stranger to oil spills. Alana lived in New Orleans during the BP Gulf oil spill disaster and saw first hand the devastating effects the oil had on the Gulf of Mexico (GOM), the marine life, as well as the surrounding communities. For the past two years she has been doing something about it. Last year Alana started testing a very specific type of biological agent used to clean up oil spills on bird feathers. An Enzyme Additive (EA) type of bioremediation, as it’s called by oil spill response scientists, she found it not only cleaned the oiled feathers but also the effluent, or waste water, produced by the cleaning process. She compared the agent to Dawn Dish Soap — the leading product used in the cleaning of oiled birds for the past 20 years. Surprisingly, Alana found that the bioremediation agent not only cleaned the feathers more effectively, but it also had the ability to immediately reduce the toxic properties of the oil, making it safer for both the responders and the birds, and also caused the oil to lose its adhesive properties so that it lifts off the feathers, both within the first 5 to 30 minutes of application. are, some birds don’t survive this critical period while those that do often suffer long term consequences. By applying the nontoxic Enzyme Additive bioremediation agent immediately upon capturing the birds, the toxic and adhesive properties of the oil are greatly diminished thus protecting the birds during this critical time. This experiment proved that oiled birds could be quickly freed of the petroleum sludge more effectively and with far less stress, while at the same time not creating a toxic wastewater that would otherwise have to be dealt with as hazardous material. With less trauma, the birds would be able to be returned to the wild more quickly to take care of themselves. 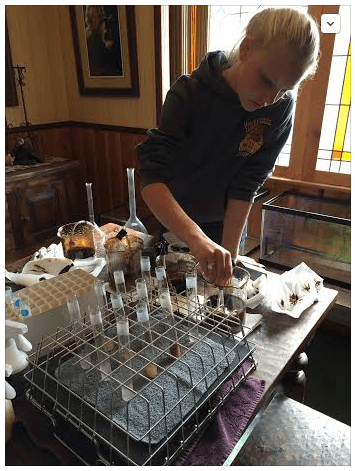 After taking first place in the Kern County Science Fair, third in the California State Science Fair and finishing as a semi-finalist in the national BROADCOM MASTERS competition, Alana went on to develop a new protocol for cleaning oiled wildlife with this same agent. Not only would the animals benefit, the whole system of dealing with the toxic wastewater (it takes an average of 200 gallons of water to clean one bird) was successfully refined as well. With now more than 192 oiled birds and 103 marine mammals that have perished, what does Alana think about the Santa Barbara oil spill cleanup? Technical write-ups of her new bird and wildlife cleaning protocol include immediate on-site application of the EA agent by handlers with the use of spray bottles and aerosol mists. The oil cleaning agent used in her science project, manufactured under the name Oil Spill Eater II, can be applied in the bird and wildlife holding areas. Such a measure ensures that, once the oil spill victims reach the cleaning facility, a more thorough and exactly timed application blankets the animals while awaiting treatment. This new procedure also includes aerated holding tanks with water quality meters which measure toxicity levels as the bioremediation agent treats the effluent. 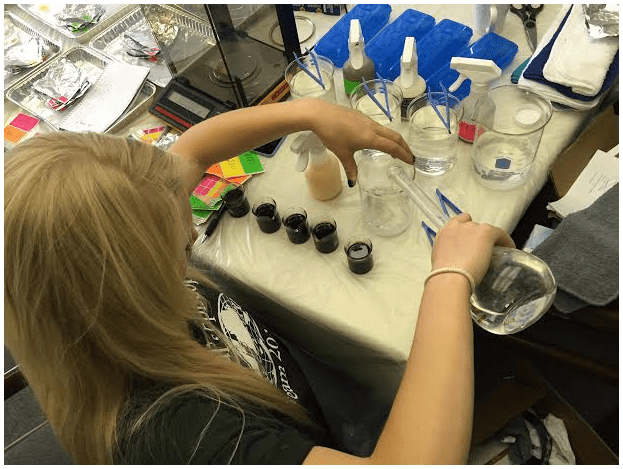 But Alana didn’t stop there — she continued her study and experiments conducting toxicity and adhesion tests on the three types of bioremediation agents listed on the EPA NCP (National Contingency Plan) listings. 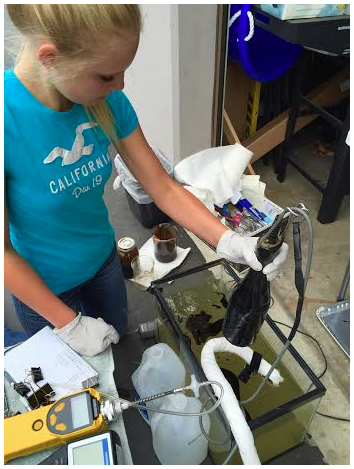 Her goal this year was to determine if bioremediation-based protocols would be an effective ‘First Response’ tool. In her study of oil spill cleanup issues, Alana found out that the current Bioremediation Fact Sheet, which government agencies use to determine when and how these agents are used, is 14 years behind the times. It is also missing current science on the more advanced applications currently available and uses of this oil spill technique. Alana learned from the BP Gulf oil spill that applying chemical dispersants broke up the oil into smaller droplets, sinking them into the water column. This process was utilized over the course of the spill with the incorrect understanding that the oil would become more available for microbes to digest. In actuality, subsequent studies showed that the dispersant used — COREXIT — created an oil droplet many times more toxic than the already toxic oil (one study showed as much as 52 times more toxic than untreated oil). She also found that there were many gaps in the research which have not proven the effectiveness of dispersant technology. More importantly, research studies neglected to reveal the damage that dispersants could do to our oceans, as well as the harm to wildlife and especially to people. For her second round of toxicity and adhesion experiments, Alana was fortunate enough to enlist the support of local businesses. GeoTech Engineering in Orange County allowed Alana to use their sophisticated mini Rae3000 meter and their Horiba meter to test the toxic VOC’s (Volatile Organic Compounds*) and parameters such as pH, temperature, turbidity, dissolved oxygen, and total dissolve solids. Likewise, Watson Bros. Precision Balances in Burbank, CA allowed her to use one of their analytical scales, which weighed to the 10,000th of a gram, in order to test oil adhesion to the feathers. Not satisfied with her experimental procedure after the first round, Alana upped the test medium from four 1000 ml beakers to four 10 gallon fish tanks, adjusted a few other parameters, and retested everything finishing the night before the California State Science Fair. 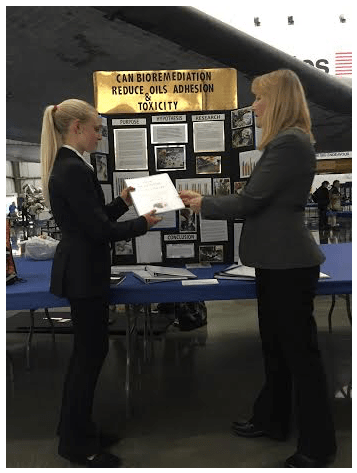 Having skipped a grade in middle school, Alana ended up taking one of three honorable mentions in the Senior Division of Toxicology out of 36 participants during her first year competing at the high school level. Right on the heels of the Science Fair, the Santa Barbara oil spill took place on May 19, 2015 bringing home the importance of her work. It has been difficult for her to watch as the days go by, knowing that nothing but fairly ineffective mechanical clean up has been used on this spill while these much more effective bioremediation agents, which could have immediately reduced the toxicity and adhesion of the oil, remain unused. Nevertheless, Alana remains unfazed by the questionable response to the Santa Barbara spill; she knows the time is coming for a more enlightened approach to the oil spills which constantly occur throughout the USA. When Alana was pointedly asked the following question, her response was quick and sure. 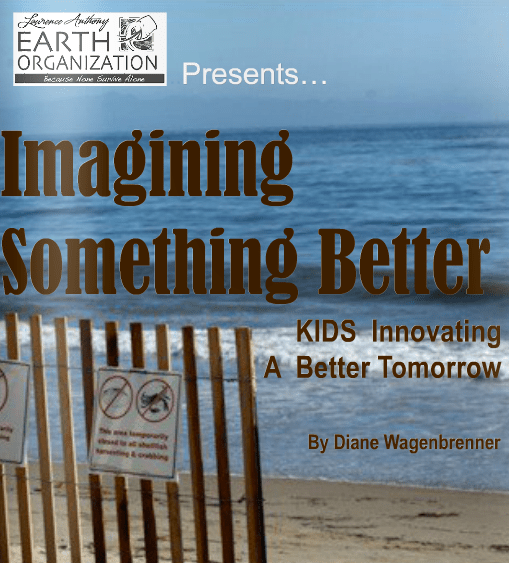 What would you do differently if you were in charge of the Santa Barbara clean-up? 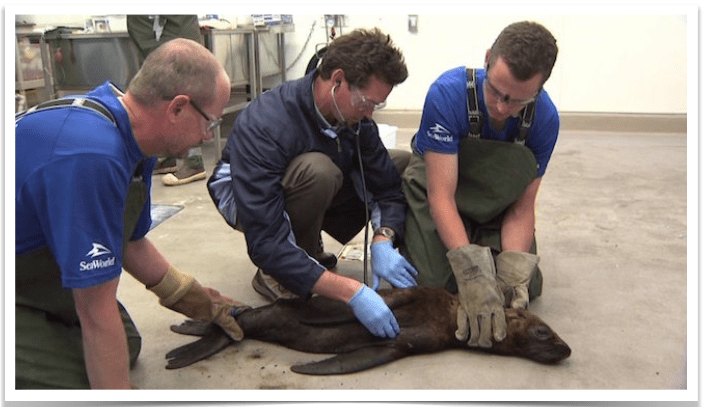 This sea lion brought to SeaWorld from the Santa Barbara oil spill site died; perhaps it would have lived after given bioremediation treatments by Alana Tessman. How does a 13 year old young scientist, knowing what she knows about truly effective oil spill response, get the attention of the authorities who are supposed to know better? Luckily she’s gained the attention of the Lawrence Anthony Earth Organization (LAEO), which has been leading the way to more effective and nontoxic oil spill clean up solutions. In fact the LAEO had independently made some of the very same important observations which Alana has made over the course of her research. During the BP spill the LAEO was one of the very first on the GOM coastline assessing the damage and looking for better ways to remediate the worst oil spill in U.S. history. That historic environmental disaster further compelled the LAEO to seek out every organization, as well as individual scientist, in the country which was committed to a developing safe and effective oil spill response plans. This endeavor went even further as the LAEO looked at every possible process and procedure, material and product which might offer a better way than the inferior protocols routinely used today. LAEO and Alana have formed a unique partnership. The LAEO Environmental Solutions Institute Division is currently in the process of having her various tests and conclusions peer reviewed for publication. In this way the results, along with other testing they have been conducting, can be shared with policymakers and government agency scientists. “Our research has irrefutably concluded that the U.S. is way behind the curve on oil spill clean up technology. Industry with its space-age drilling and excavation technology use stone-age methods for cleaning up their hazardous chemical spills. We are working independently to change that since the U.S. EPA and other responsible agencies have not gotten the job done”, said Diane Wagenbrenner, Vice President LAEO. “Our Science and Technology Committee will collaborate with young scientists like Alana along with industry and regulators to force advancement to take place in this field”, she continued. With deepwater drilling expanding in the Arctic, Gulf of Mexico and U.S. Atlantic waters, LAEO has expressed deep concern over deficient spill countermeasure plans, that despite lessons learned during the BP spill, are readily signed off as okay by U.S. officials who are supposed to be acting as our environmental protection trustees. According to their research paper, A Call for a Twenty-First-Century Solution in Oil Spill Response, the U.S. National Contingency Plan in its current state guarentees failed oil spill countermeasures and harmful impacts to our oceans and shorelines. Alana’s next step will be learning how to navigate the tricky (some might say oily) waters of policy and bureaucracy to get her scientific study findings utilized. Government agencies would do well to enlist the skills of these next generation scientists who seem to already be filling in the gaps in the relevant areas of research. Doing so will assist in the formulation of methodologies and materials necessary for a considerably more effective response to oil spills in the future.